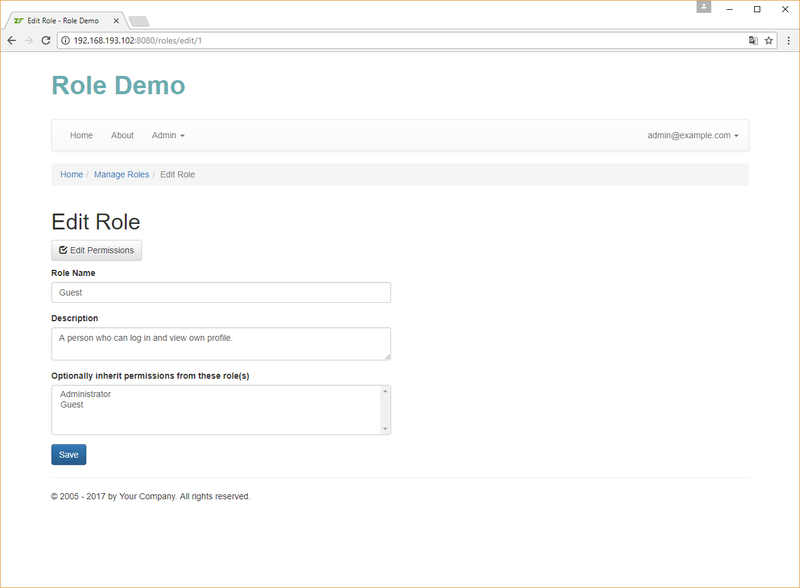 In the Role Demo sample, we will create a convenient user interface for managing roles. 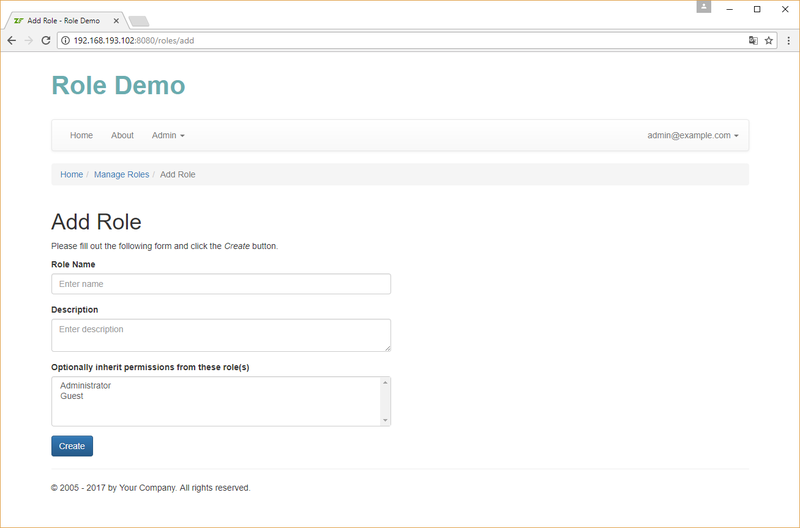 You can access the role management page by logging in as admin@example.com and opening menu Admin -> Manage Roles. addAction() Allows to add a new role. deleteAction() Deletes an existing role. editAction() Allows to edit an existing role. 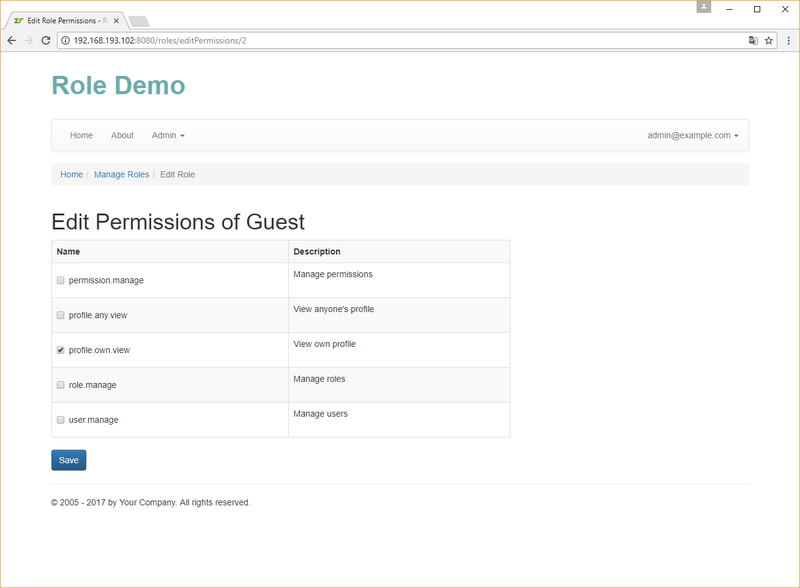 editPermissionsAction() Allows to assign permissions to a role. indexAction() Displays the list of existing roles. viewAction() Displays the details of a role. 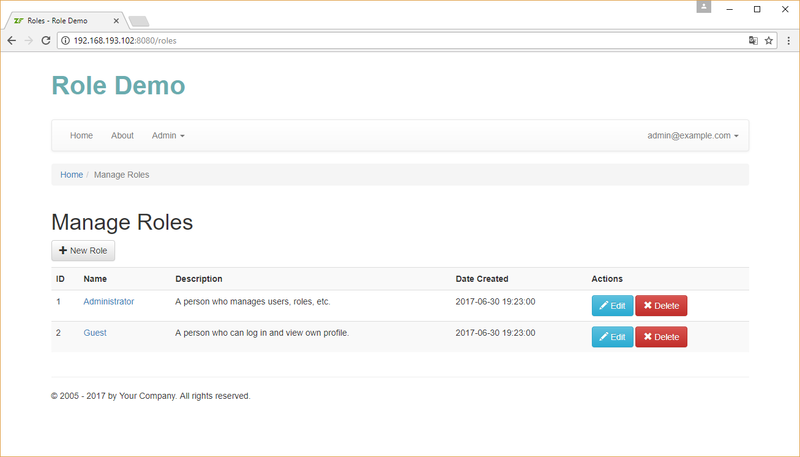 The RoleController works in pair with the RoleManager service which lives in User\Service namespace. The RoleController and RoleManager contain nothing new and special, so we will skip their discussion here and will just provide some screenshots of the resulting user interface below. 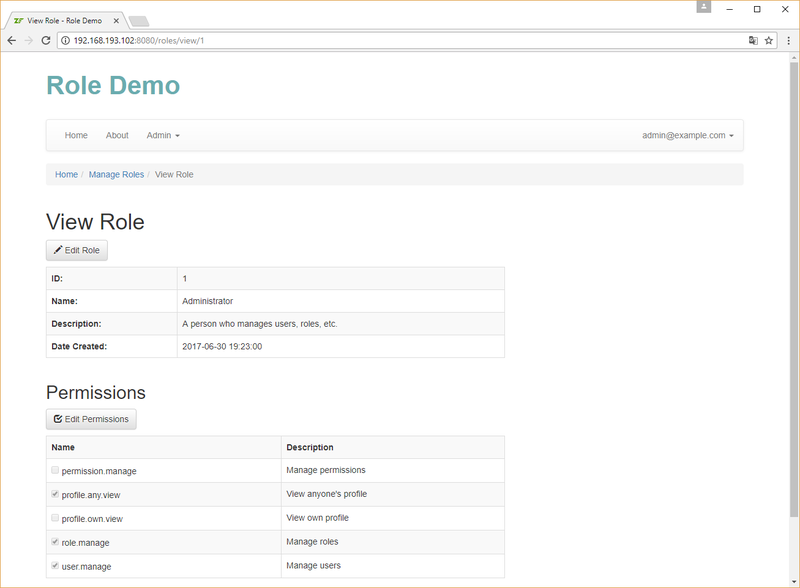 You can find the complete code of the RoleController and RoleManager classes in the Role Demo sample.